What’s this little critter on our Pimelea Sunset Blush? You might be interested to know that it’s actually not a bee or a wasp! It’s a syrphid, and they’re very interesting insects! Syrphids are also known as ‘hoverflies’, and as the name suggests, they are often seen hovering at flowers. The adults feed mainly on nectar and pollen, and are harmless to other animals. They mimic wasps and bees as a disguise to ward off predators. Syrphids are frequent flower visitors to a wide range of wild plants, as well as agricultural crops, and are often considered the second-most important group of pollinators after wild bees. However, relatively little research into syrphid pollination has been conducted compared with bee species. Bees are thought to be able to carry a greater volume of pollen on their bodies, but syrphids may be able to compensate for this by making a greater number of flower visits. Although syrphids are often considered mainly nonselective pollinators, some syrphid species are highly selective and carry pollen from one plant species only. They mainly prefer white and yellow flowers. 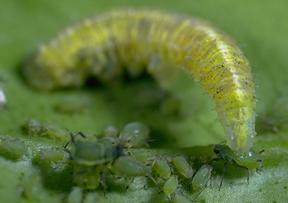 The larvae are insectivores and prey on aphids, thrips, and other plant-sucking insects. Their colour can be pink, yellow, green or brown marked with white or black, and they vary in size from 4 to 18 mm in length. 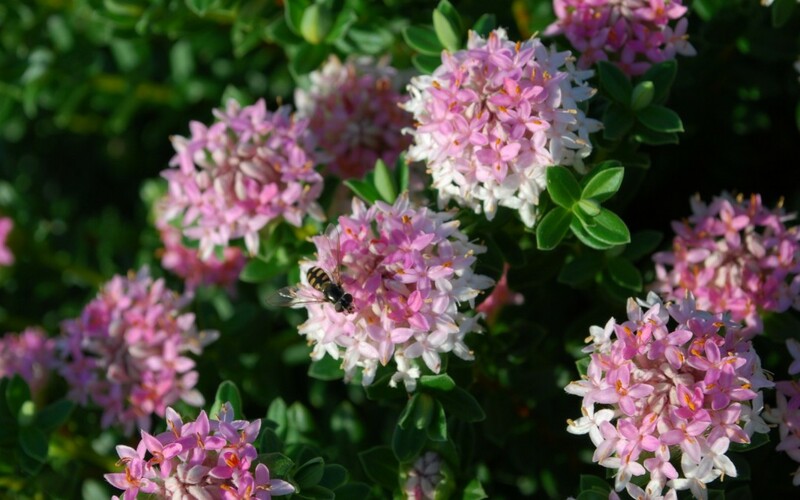 Syrphids are very beneficial to have in your garden. A biological pest control in the larval stage, then maturing to a hoverfly and pollinating your flowers!